Today, CBS Corp. settled all upfront business. Shortly after CBS made good on chairman and CEO Leslie Moonves' vow for double-digit CPM increases, its sister network, The CW, has done the same, landing double-digit volume and CPM increases, according to a source familiar with the negotiations. Like CBS, The CW pushed for double-digit CPM (cost per thousand viewers reached) increases. That's compared with 4 percent growth last year. Its sales volume was also up double digits, in line with last year's 12 percent to 15 percent gains. The network finished its upfront business at almost the same time it did last year, when it became the first broadcast network to wrap upfront sales on June 26. Buyers were most interested in three of The CW's superhero shows: The Flash (which is the network's most-watched show), Arrow and new entry Supergirl (which The CW picked up from CBS in May). This fall, 40 percent of The CW's schedule will be devoted to superhero shows (the fourth of which is The Flash-Arrow spinoff DC's Legends of Tomorrow). While The CW's president, Mark Pedowitz, said last month that he expected Supergirl's ratings to be "a little less" than they were on CBS, he also said he believed the show "may be one of our top three performers in terms of ratings next year." The network is in the process of signing clients for CW Good, its new vertical on CWTV.com, which will spotlight causes the network's stars and fans are passionate about. 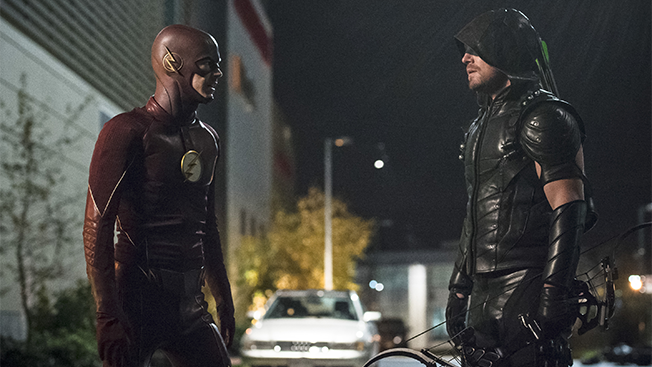 In March, The CW renewed all 11 of its series that were on the air at the time. That left it with very few holes to fill for the 2016-17 season. In addition to Supergirl, the network has just two new dramas in the fall: Frequency and No Tomorrow.